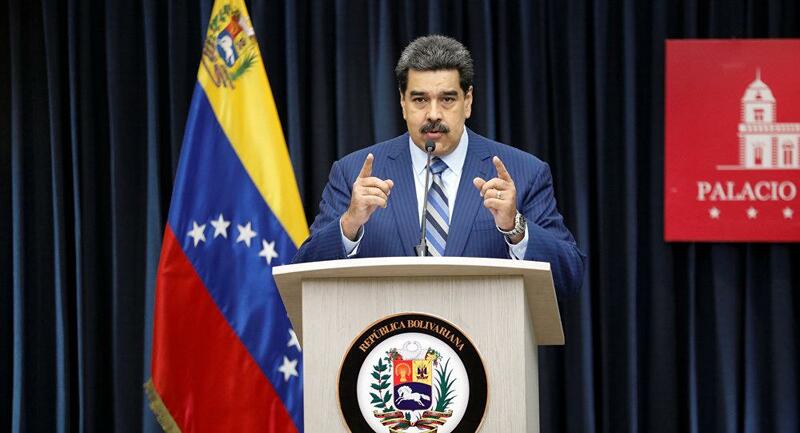 CARACAS, Feb. 2 (Xinhua) -- Venezuelan President Nicolas Maduro Saturday proposed holding early elections for the National Assembly as a possible solution to the country's political crisis. Maduro said before thousands of supporters who had gathered on Bolivar Avenue in Caracas that the government-controlled Constituent National Assembly would decide whether or not to call early elections for the opposition-held National Assembly. He added that such a decision would be aimed at "relegitimizing the country's legislative power" and that "we should go to free elections, with guarantees that the people choose a new National Assembly." Elections for the National Assembly had been scheduled to take place in 2020. Maduro also told the public that legislative elections can be held in a "consensual way at a dialogue table with the opposition, if they wish." The Constituent National Assembly is elected in 2017 under Maduro's call to draft a new constitution for Venezuela. With the opposition boycotting the vote, it is largely dominated by government supporters and has been exercising most of the National Assembly's powers. The difficult political situation in Venezuela has intensified after Juan Guaido, head of the National Assembly, declared himself interim president on Jan. 23 and was recognized by the United States and some other countries.